This series of screenshots demonstrates combinations of different background and frame styles applied to the whole chart control. Same background and frame styles are applicable to all back pane objects which may be created inside the control's view (e.g. legends and labels). 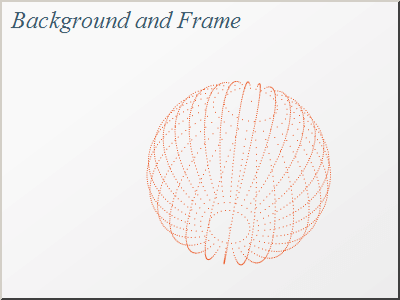 Predefined fill effects for the background and frame styles are included both in the demo version and retail version of Nevron Chart.